Daniela sent us this article and link. This has been making the rounds on the various social media sites…. awesome news! Today a nice article has been published on IL QUOTIDIANO written by ANDREA SPINELLI about IL VOLO and the new album. It’s an interview that the guys have released during Sanremo. Sanremo, 11 February 2018 – “You never get used to such a great emotion”, assures Il Volo, talking about the hot shiver on the stage of the Ariston, once again chosen as the crossroads of his career. 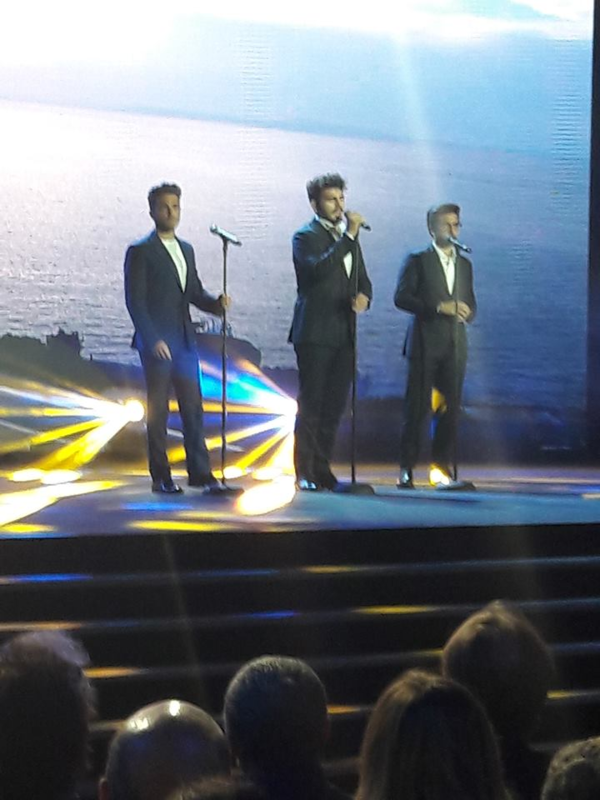 Three years after the triumph of Grande Amore, in fact, Piero Barone, Ignazio Boschetto and Gianluca Ginoble sought the reassuring applause of the Festival before flying under the Miami sun, to open a new chapter in their lives. “Returning to Sanremo was a great honor and we are extremely grateful to Baglioni,” they explain. «A standing ovation has been added to the applause and the return has become perfect». Coming down from the stage has the idea of ​​trying again? Maybe in a few years? Gianluca: «Once you have won, you can return to competition in Sanremo only with a song able to repeat the feat. Because, at that point, you can not be content to compete in the group, but you are forced to head a race ». Actually, Sanremo was decisive three years ago. Piero: “At the time we suffered the idea of ​​doing concerts abroad and returning to Italy just for the holidays, so we said: let’s go to Sanremo, or it goes or breaks it. We had nothing to lose, because in Italy we were known, but, let’s say it all, not too much appreciated. We could not find with the public the empathy we had abroad “. What do you think has discovered the public of you thanks to the Festival? Piero: «That we are not the only guys able to sing O sole mio and Un Amore così grande, but we know how to embark on even more risky enterprises, succeeding, I think, quite well. Just think about the concert with Placido Domingo in Piazza Santa Croce in Florence, born a year and a half ago from a winning idea of ​​our manager Michele Torpedine ». Now, however, the time has come to change direction. Piero: «I believe that an artist should stick to the times and, why not, throw an eye to the genres and sounds that enliven the musical scene at that time. Although the classic never dies, in fact, ours is a genre that someone can consider old. So we decided to give a good refresh to our music, putting ourselves in the hands of a great Latin producer like Emilio Estefan, who will certainly not sing us with a symphony orchestra ». Gianluca: «In these years we have taken refuge in the covers with the awareness that it would have been useless to record a record of unpublished classic, because the audience of our concerts jump on chairs especially when we do O sole mio e Un amore così grande. People are fond of that kind of repertoire and to propose something really new you have to change the register ». Where does the road start from? Piero: «From Miami, we fly there on 19 February because on the 22nd we have the Lo Nuestro Prize in which the best Latino musicians of the year participate». Gianluca: «In 2019 we will do a ten-year career, people abroad have learned to appreciate us as well. Now we want a Flight 2.0. 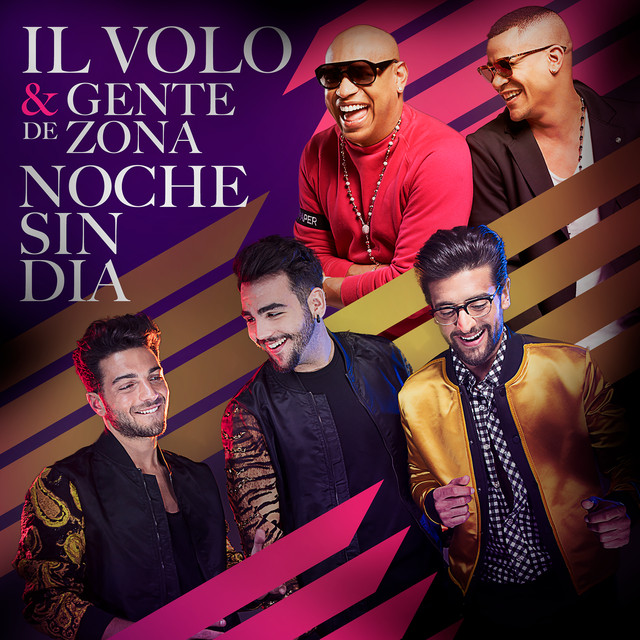 In the new album there is a lot of rhythm but also beautiful vocal parts, Il Volo with a new sound. More pop, a light voice, but always of quality ». Produce Estefan. Has the superstar wife come alive? Gianluca: «Yes. There is a duet with Gloria Estefan and we are honored. But the meeting between an icon of Latin music like her with a group that has our characteristics you can also wait for it, others are absolutely surprising alongside our name. Starting with the first single ». Who would have liked to host? Ignazio: «In the United States we have succeeded at seventy percent with the adult and thirty with the young, while in Latin countries like ours we have the girls under the hotels». Gianluca: «When I read the criticisms that define us as young old people, I think are not completely unfounded at times. I am 23 years old and artistically, I would like to live a little more my age. I am convinced I can do it only now, because then it would be difficult to go back “. The Stones used to say ” Il tempo è dalla mia parte ”: time is on my side. Gianluca: «True. We have different tastes, vocality and dreams. But everyone knows that it is the group that makes the strength and that it would be stupid to divide our paths. But to continue walking together we must renew ourselves, risking. The future is of the brave ». Turning the world, what was the most surprising discovery? Ignazio: «We went to Tokyo thinking of sushi and we left again admired by an extraordinary culture and social organization». Gianluca: «In Japan there is a civilization and an order that are difficult to find other latitudes». Piero: “A few gaffes, rather. Like when Ignazio, for example, before the Pope, instead of saying “His Holiness” came out with “salve” ». Tokio, Sanremo, the album with Emilio. Another dream to achieve? Gianluca: «Emilio has said it: this will be a Grammy Album. And we believe it ». Previous PostAfter Sanremo, by DanielaNext PostINCOMPARABLE! Love this article! So happy they shared their new goals & dreams for their musical ability !!! With the guidance of the Estavons, great names in the Latin music world, their desire for music of the day will be presented in new wonderful format!! !Can not wait to listen!!! The music will be marvelous!!! This is our Gianluca, Ignazio, & Piero!!! We will be amazed & enchanted as always!!! thanks once again Daniela. The boys will surely win the grammy award. Stay safe guys flying over the Atlantic. Daniela, I’m relying on you to encourage me to hope that the new CD will be greatly pleasing to the ear and a big success, but can’t help feeling a little uneasy to hear a new repertoire that will differ, I assume, from their great success with the old Italian classic greats, which I came to appreciate so much, because of their interpretation and magnificent voices. Change does not come easy for some of us once we’ve found that which we love and enjoy. Thanks. I have no doubt in my mind that they will win a Grammy one day. They have achieved everything so far that they had hoped for, through hard work and the support of their parents and fans. Thanks Jill, nothing special, home evening !! Daniela, thank you for the translation. I hope the guys don’t think that we “older” fans don’t appreciate pop music after all rock and roll started in America and we grew up with it. We also grew up with Sinatra, Como, Dean Martin etc. If their new CD is good we will buy it and let loose at the concerts if they decide to tour. I agree with you Rose Marie. I didn’t mean to say “if” their cd was good.. Of course it will be good, just different, but go for it guys! We’ll be there with you and for you, all of the way. Well I never thought for a moment these boys didn’t have their heads screwed on right. They know what they want to do & are going after it in the right way. And am glad Mr. Torpedine is travelling with them & helping them make the right decisions. Even if they change their style of singing in my opinion whatever they decide to sing or even if they change the style a bit it will be perfect because I THINK & always have thought they can do no wrong. The guys are thinking & talking together & probably running ideas to their families & also Mr. Torpedine’s ideas are going to be knowledgable as well for their best welfrare. Looking forward to concerts as well as the rest of us which when we hear we will be jumping for joy. Daniella so glad you are keeping on top of things you’ve heard, keep up the good work. I can say by interpreting the thought of everyone, that we are quite worried about this new album from the Spanish rhythms, but we know that the boys are young but have never been badly recommended, I think that Torpedine and their families have always shown the right path and the guys they are not so naive. Esteffan is not the latest in this field, I believe that despite the different rhythms, the guys will keep their style and will be a different album but certainly enjoyable. I also believe that the boys will never deny the milestones of their careers, the songs of bel canto. Soon there will be the output of the album, we trust and we’ll see !! Daniela do you have a way to contact them & let them know that what ever they decide that we this site is praying for their success. I think if they know that we & others are praying for their success it will give them incentive to work successfully to try their ideas to a positive outcome. I don’t care if they change their style of singing whatever they do will be positive & if they know their fans are rooting for them then that is showing them that we care. Loretta, I do not have direct contact with them, but through a person I managed to get your message to Mr. Ercole Ginoble who answered that he is happy, that you of Flight Crew support them for this project, said to thank you and said to be quiet. What do you say Loretta, we can sleep quiet dreams, really kind Mr. Ginoble. Daniela, Thank you for the translation, We’ve all watched the boys from the beginning… they are very saivy with what they do and I believe they are getting the best advice available. I have no doubt that whatever they sing will draw more crowds than ever. They are young and should attract young crowds. I noticed that whatever they sang in South America that everyone went wild and knew all the words and sang with them like a chorus. It was enchanting. I know they are doing what will being them more attention and only add to their fan base. I have no concerns. They have already shown that their instincts have been very astute. We’re looking forward to the new album and know it will be a wild success. If the boys like it, you know we will too. Hugs to all of you. Sweet article, Daniela! Every moment listening to, watching, reading Our Guys is a moment of Joy-and-Delight! Our Guys deserve a Grammy many times over – if you ask Me! (and no doubt, all of You!) May Emilio be seeing this bright future for our precious magnificent magical IL VOLO!